Most patients who want to book an appointment or request more information end up calling the dentist even if they have already visited their website or read their brochure. Talking over the phone gives patients more reliable information quickly, making phone calls the primary source of patients for dental offices. In short, calls from prospective and existing patients is what keeps a dental practice running. Therefore, finding out how these callers are learning about your services is vitally important to the success and growth of your dental practice. In this post we present five more reasons to track calls to your dental office. Since calls are the primary source of patients and appointment bookings, you can use the volume and quality of calls to assess campaign performance. By tracking the number of calls you can objectively determine the effectiveness of your marketing campaigns in terms of attracting dental patients. A good advertising campaign would drive a high volume of calls at a low cost per call. 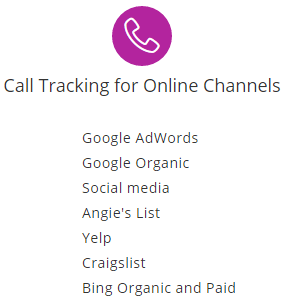 Without call tracking there would be no way to know if an advertising campaign is meeting your marketing goals. By tracking and recording inbound calls you can compare the performance of different advertising campaigns, discount offers and marketing channels. This information will help you make better use of your marketing budget by cutting spend on low performers and increasing spend of high performing campaigns. e.g. A dentist spent $1000 on a radio ad that brought in 5 calls and $4000 on a direct mail that brought in 40 calls using the same promotional offer. With this information, we can see that direct mail is more effective than the radio ad. Therefore, next month this dentist can save the money on the radio ad continue with the direct mail campaign. 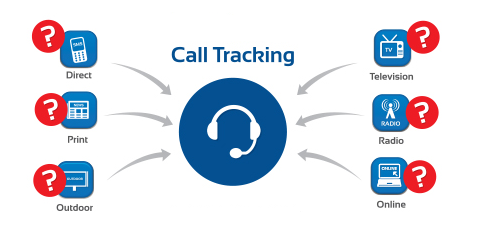 Another benefit of call tracking is the ability to modify your ads, positing, promotional offers and marketing message to optimize the campaign performance. This way you can improve your campaign results over time through trial and error. e.g. A dentist spent $1000 on a radio ad that brought in 5 calls and $4000 on a direct mail that brought in 40 calls using the same promotional offer. Next month he tries a different message and promotional offer on the radio ad which results in 10 calls for the $1000 radio ad. Call recording is one of the most overlooked aspects of call tracking. Call recording helps you identify issues in phone answering, which can then be corrected through training. Better call handling, will increase the production of your dental practice drastically. e.g. A dental office gets 100 calls per month and which results in 30 patients per month. This means the receptions are able to convert 30% of all calls or in other words 70% of callers do not convert! Now imagine if this office improves call handling to convert 40% of all inbound calls. This would give them an extra 10 patients per month without any increase in their marketing budget. The volume of calls received by dental offices are set to increase several folds in the coming years. This is because mobile devices are replacing desktops and laptops very quickly. As a result, a growing number of consumers are now researching local businesses on their mobile phones which naturally favors calling over filling out contact forms. Therefore, call tracking will become even more important in the future.